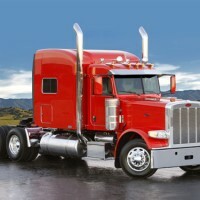 “The clarification represents information that impacts millions of truck drivers who drive many hours at a stretch in ‘big rigs’ weighing more than 26,000 pounds,” Darrell Smith, IWFA’s executive director, said in a statement. Skin cancer is more prevalent in the left arm and left side of the face, likely due to increased exposure to harmful ultraviolet A light from driving, IWFA said. IWFA sought FMCSA’s guidance because law enforcement officers sometimes believe tint is never allowed on truck cab windows, the association said. Many window films are light enough to comply with the 70% regulation while still blocking 99% of UV-A and UV-B radiation types.